Boca Raton FC will continue its partnership with Facebrasil Magazine for the 2017 season, the club announced Thursday. Founded in 2010, Orlando-based Facebrasil has become the leading print and online voice of the Brazilian community in the State of Florida. The magazine is distributed throughout Central and South Florida as well as in Rio De Janiero and Sao Paulo. The magazine has developed a strong online presence as including a well-followed social media portal. The partnership gives Boca Raton FC a reach throughout the state of Florida, where Facebrasil boasts 90% of its readership. 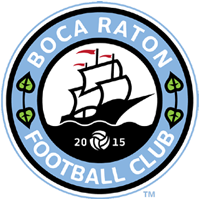 Boca Raton FC which began play in 2015 club compete in NPSL, APSL and the Lamar Hunt US Open Cup during 2017. The squad is now engaged in preseason training as well as competitive scrimmages every week to prepare for the upcoming campaign. Fans are invited to come to Coral Springs’ Mullins Park every Sunday evening between now and the start of the APSL season to watch Boca Raton FC’s preseason preparations. Boca Raton FC season passes for 2017 are now available starting at $65.